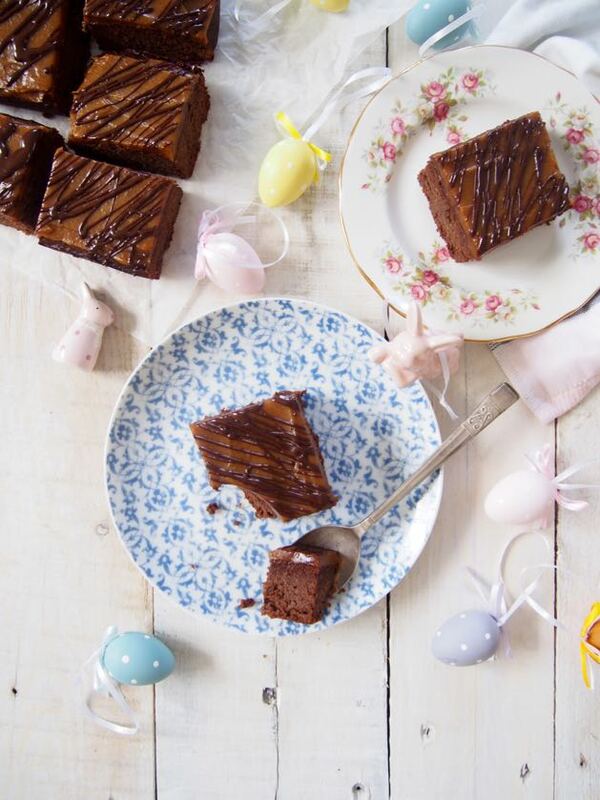 Ridiculously Easy and Healthy Chocolate Cake for Easter! 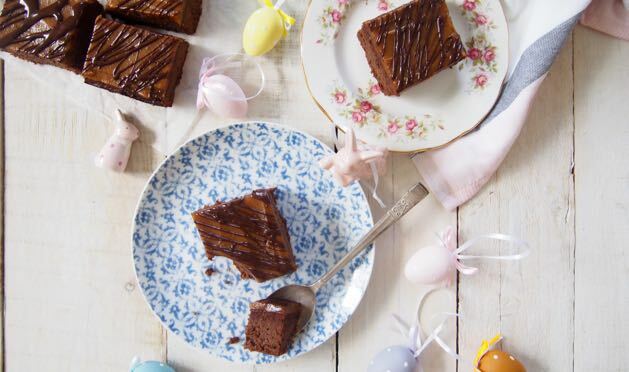 Ridiculously Easy and Healthy Chocolate Cake for Easter! With AMAZING Caramel Icing! This amazing delicious recipe is brought to YOU by Supabarn. Thank YOU! We made this easy healthy chocolate cake for Easter and it’s so yum and so delicious! Stuff the sugar filled choccy eggs because this cake is seriously so good and so chocolatey! We know you’re all going to love it so we think you should all make it. We’d love to see your Merry Easter creations, so email us or share them with us on Instagram, Facebook or Snapchat (yes we love Snapchat, find us themmsisters). Anyway back to the Easter cake. So we’ll be honest the only reason why it is an Easter cake is because we decorated it with cute Easter bunnies and eggs. So if you don’t want to make it for Easter that is definitely ok! Make it for a Birthday, afternoon tea or just because. It really is amazing how good sweet treats can taste when they have no grains, no refined sugar and no gluten! We just don’t need that stuff. Na-uh, not now, not ever. Ok, time to eat this easy healthy chocolate cake! YAY! Fun! Wait until you taste the icing! Preheat oven to 180°C (350°F) and line a 27 cm (10 inch) x 18 cm (7 inch) slice tin with baking paper. Slowly pour the melted chocolate into the mix and stir super slowly and carefully. Transfer into the lined tin and bake for 25 minutes. 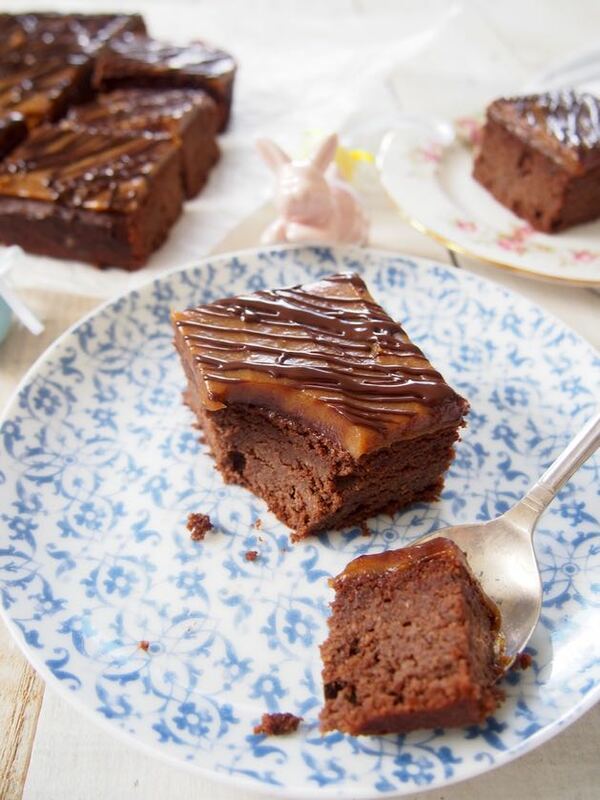 Allow the cake to cool completely before topping with delicious caramel icing and melted chocolate! In a blender whiz all ingredients until super smooth! It will take around 5 minutes. Drizzle with melted chocolate for fun! Perfect for cupcakes too! Bake for 15-20 minutes! Thanks to Supabarn for supplying all the ingredients for this delish Heathy Chocolate Cake!